A proper player knows the importance of footwork in Pickleball. It can mean the difference between a brilliant and a sub-par serve. The difference between a champion and a beginner is their use of their bodies. In fact, when you attend any clinic they will focus heavily on your footwork. We’re going to take a look at how to improve your feet control, so that you can climb the ranks and become a 5.0 player in no time at all. Yes, your paddle and the ball are important, but you shouldn’t be so focused on them that you forget to control your footwork. All your power, speed and control comes from the proper use of your body. 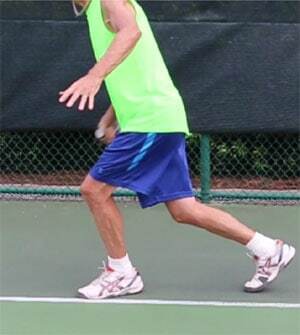 Your connection to the ground is a support system that allows you to push off and accelerate, which as you know, is an important part of Pickleball. Don’t make the mistake of leading from your upper body. Otherwise you will be moving too much and be totally off balance. Remember that you want to get to the ball quickly and efficiently, be prepared for the next shot and engage your lower body so as to transfer your weight into your shot. You want to be balanced while playing. If you lose your balance, it could end in disaster. What you want to do is lead with your dominant foot. Take one large steps instead of a bunch of little steps, and remember to move with your shoulders and hips. If you’re using your feet too much instead of keeping them grounded to support you, you will lose your balance.For this purpose proper pickleball shoes are always recommended. Step out instead of across, and remember to keep your weight going forward with each shot. Keep your weight underneath you to allow for improved mobility. You want to keep all those foot controlling tips in mind, even in a doubles Pickleball game. You will want to be even more careful of your footwork with a partner, since what you do will affect them in the end too. The key to getting the footwork right in a doubles game is practice. You two need to practice together all the time. When working on footwork, you need to work together. When you go in, you partner should know to move accordingly. When you know how they move, you can work out how you will move too. If you don’t work on footwork together, you will not be able to play the game properly, no matter how much skill the two of you have. Footwork will either make or break your game, so decide on which days you want to work on controlling your feet, since it is so important. Ask any 5.0 player, the key to winning is your foot movement. That’s why it is a focus at clinics, and why you should focus on it too. 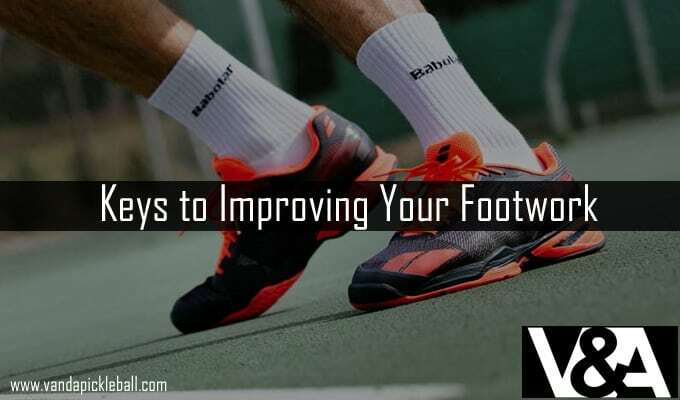 If your games haven’t been going well lately, just look at your footwork, it will solve many problems.